Modern Surprises was no ordinary company: the science division had secretly developed a portal that would take them anywhere. The plan was to use the portal to help those in need. However, a billionaire industrialist found out about the portal, and would lie, cheat, and steal to get it. But the Modern Surprises team was not about to let him have it. “Joan’s prose is always cool, it’s a majority female team and that’s such a good title.” —Paul Cornell, author of Who Killed Sherlock Holmes? 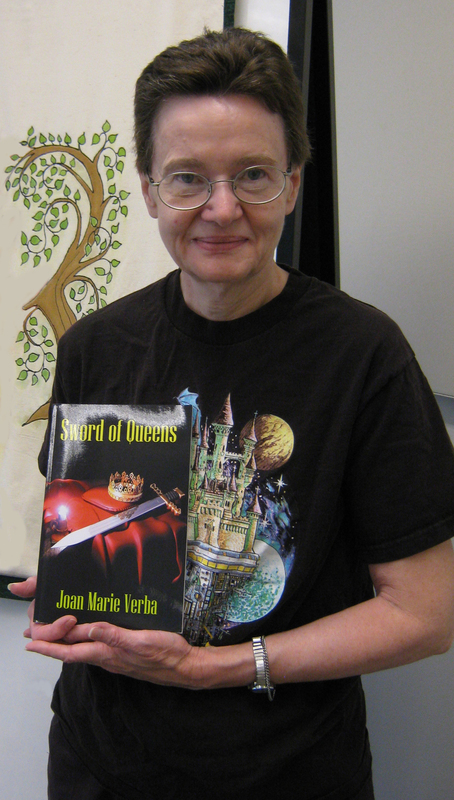 This entry was posted in Joan's books and tagged science fiction on May 12, 2016 by Joan Marie. Do you like dragons? 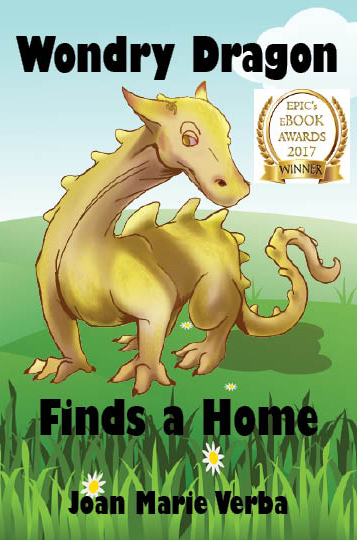 The follow the adventures of Wondry Dragon as she finds a new home with her new human friend, Rhea in Joan Marie Verba’s delightful story, “Wondry Dragon Finds a Home”. Rhea and her mom and dad have never had a dragon in the house before, and they all learn what Wondry can and cannot do. Rhea and Wondry play together, help out their neighbors — and try to stay out of trouble. Rhea can never tell what Wondry will do next because Wondry is always surprising her with what dragons can do. 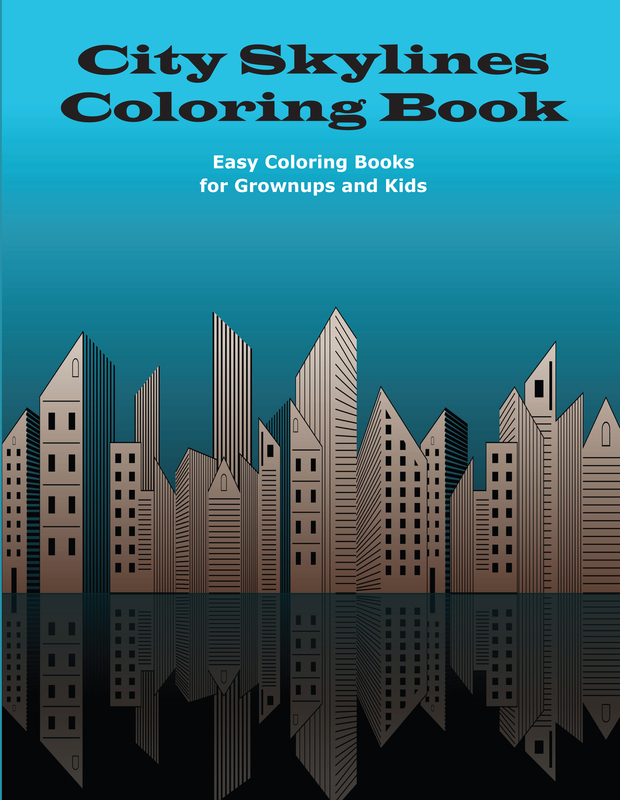 Wondry will surprise young readers ages 6 to 8 as well! A children’s chapter book story suitable for students in grades 1-3, “Wondry Dragon Finds a Home” is very highly recommended for both community and elementary school libraries. 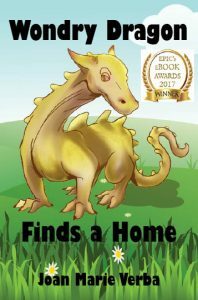 For children’s personal reading lists it should be noted that “Wondry Dragon Finds a Home” is also available in a Kindle edition ($2.99). This entry was posted in Joan's books and tagged children's chapter book, dragons on February 21, 2016 by Joan Marie. 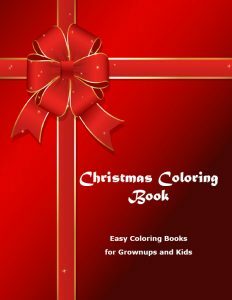 This entry was posted in Joan's books and tagged coloring books on November 20, 2015 by Joan Marie. 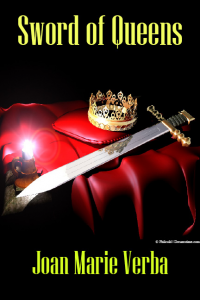 This entry was posted in Joan's books on September 24, 2015 by Joan Marie. 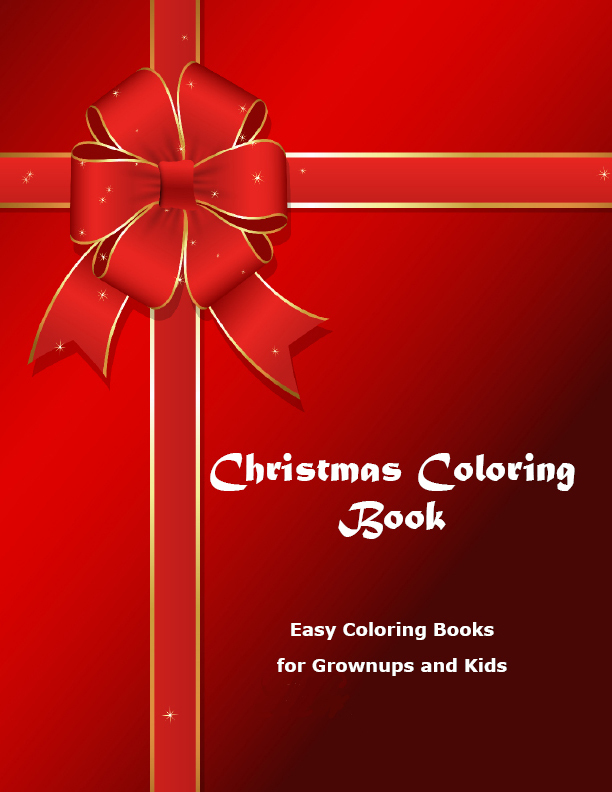 This entry was posted in Joan's books on December 7, 2014 by Joan Marie. 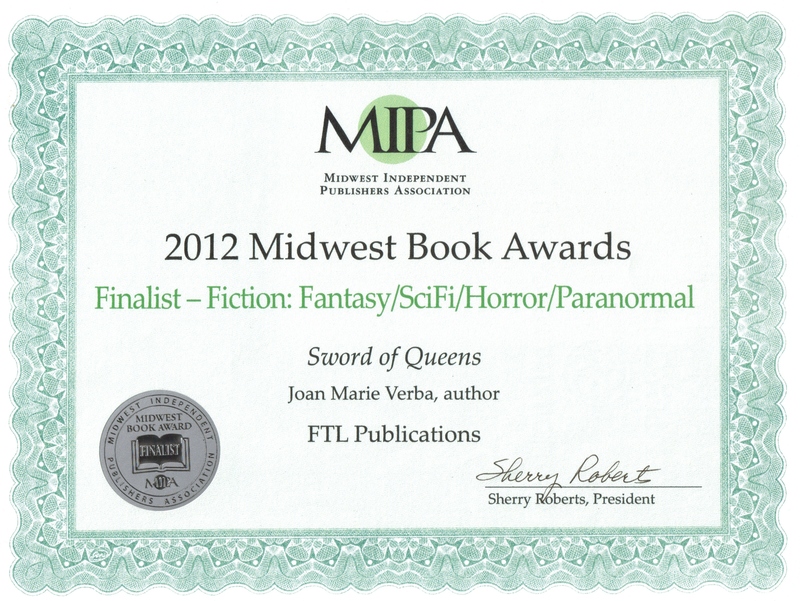 My fantasy novel, Sword of Queens, is a finalist in the Midwest Independent Publishers Association (MIPA) Awards (for the paperback version) and a finalist in the Electronic Publishing Industry Coalition (EPIC) Awards (for the ebook edition). This entry was posted in Joan's books on June 24, 2014 by Joan Marie. Henry Jenkins is the Provost’s Professor of Communication, Journalism, and Cinematic Arts at the University of Southern California. He recently interviewed me about Star Trek, Darkover, and Thunderbirds. Thunderbirds are Go and Joan Marie Verba Explains Why. On Tuesday, May 18, 2010, I’m hosting a virtual online (re)launch party for my Thunderbirds books, particularly Countdown to Action! On that date, if you order one or more of the Thunderbirds novels, you will be able to download free bonuses! Dan Poynter, author of the Self-Publishing Manual. Peggy McColl, author of Your Destiny Switch and other self-help books. Michelle Cimino, Digital Etiquette Expert. Steve Miller and Sharon Lee, authors of the Liaden series of science fiction novels. Henry Jenkins, popular culture expert, the author of Textual Poachers, and the Provost’s Professor of Communications, Journalism, and Cinematic Art at the University of Southern California. Put the date on your calendar so you won’t miss out on these special offers! More information will be posted as the Countdown to the Virtual (Re)Launch continues! I am thrilled to report that my novel, Thunderbirds™: Action Alert, is a Mom’s Choice Awards® (Silver recipient) for 2010. The Mom’s Choice Award is given to books the judges feel represent the best in family-friendly entertainment. I am proud of this because it is my goal to create novels that are family-friendly, and this award confirms that I have met that goal. My novel Countdown to Action! won the same award last year, so I am doubly pleased to get another award this year. Most of the time, I find that others are pleased and impressed when one of my books gets an award. Other times, the response isn’t as favorable. Well, so what? The fact that I won an award means that someone who I do not know, have never met, and am not related to thinks that my book has merit. Really, almost any award, better known Hugo Awards, etc., has this characteristic. Hugo Awards, for instance, are reader awards, and most voting for the award are not literary professionals. Even so, the Hugo Award has prestige and significance. Last year, I read a blog from a professional book critic who slammed one of the lesser-known awards. She claimed that this award (and this wasn’t the Mom’s Choice Award, by the way) had a paid entry fee and that everyone who paid the fee got some sort of award. Not true. 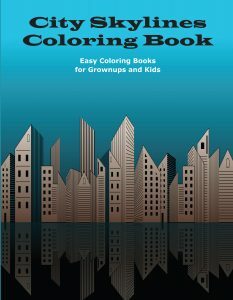 I have entered my books for this particular award. The award granters state very clearly that they get on the order of 1000 entries, and maybe 50 titles get an award. That means 95% of the books entered don’t get an award. There may indeed be “vanity” awards; I have heard of them, though I’ve never entered my books in one of these to my knowledge. Almost all the awards that I enter are judged by professionals (and if not professionals, they are readers, such as the people who voted on the Hugos are). Some have fees, some don’t. I don’t necessarily think paying a fee to be considered devalues the award. Before I enter any award, I check to see (and the reputable awards committees provide this information up front) who is judging, what standards are used, etc. Therefore, when I win an award, I’m happy, no matter what anyone else thinks! When I ask for suggestions on how to sell more books, inevitably, someone will suggest that I visit local bookstores (chain and independent ones) to see if they’ll carry my books. It isn’t as if I haven’t tried this. 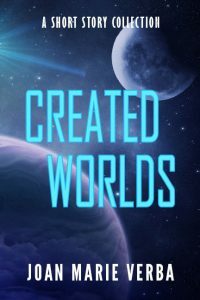 Both local science fiction bookstores (Uncle Hugo’s and Dreamhaven) already have purchased my books (for which I am grateful). I have also tried the Barnes and Noble Small Press Department…their response was, in essence: don’t call us, we’ll call you. Generally my experience with bookstores is similar to that of sf author and small press publisher Steve Miller, who reported driving from his home in Maine down the eastern seaboard to Florida, stopping at every sf bookstore he could find along the way. None of them purchased his books. Most bookstores won’t purchase books from authors (or small presses). They just don’t. They prefer to purchase books from suppliers, and suppliers prefer not to handle books that don’t bring in at least a couple of thousand dollars in immediate sales. I have also attended the midwest bookseller’s convention—twice—to promote my books, with no success (oh, they’ll take free copies, but they don’t order any). 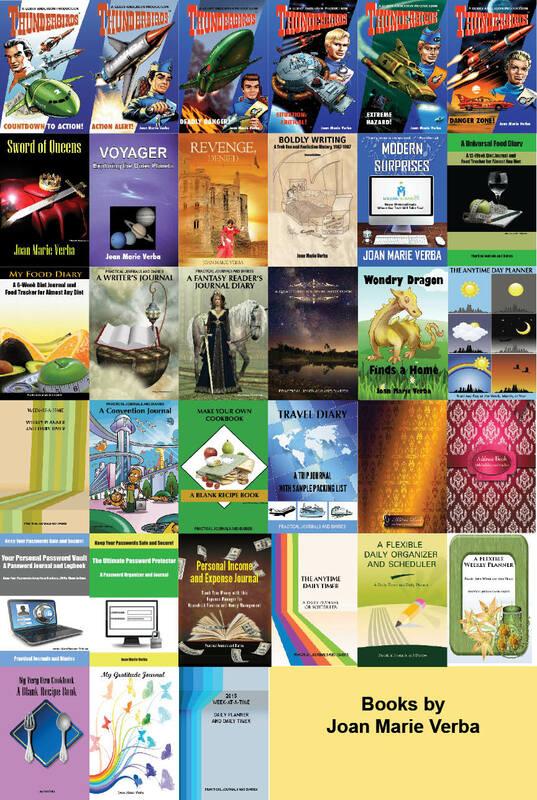 I have used a service which lists your books in their catalog, then forwards review copies of books to interested booksellers who request them. Although I have sent books to these booksellers, I’ve never received any orders from the ones I sent copies to. I’ve also sent a large number of copies to a national distributor for their “sales reps,” presumably so those sales reps can show my books to bookstore owners and get them interested in purchasing. I haven’t seen any results of that, either. However, at the Bloomington Book Fair earlier this year, a man (let’s call him Joe Author), told me that he had success selling his self-published book locally. He specifically indicated the University of Minnesota bookstore, Garrison Keillor’s Common Good Books bookstore, and the Science Museum bookstore. So I thought I’d give them a try. Joe was most enthusiastic about the University of Minnesota bookstore. According to him, the book buyer there was eager to purchase books from alumni, and wrote a check on the spot for Joe’s books. I brought them both Thunderbirds books and Boldly Writing. I went to the bookstore (which had moved since I was last at the campus bookstore), and asked for the manager, who indicated there were 2 buyers. One came to talk to me. I introduced myself as an alumna and went on from there. 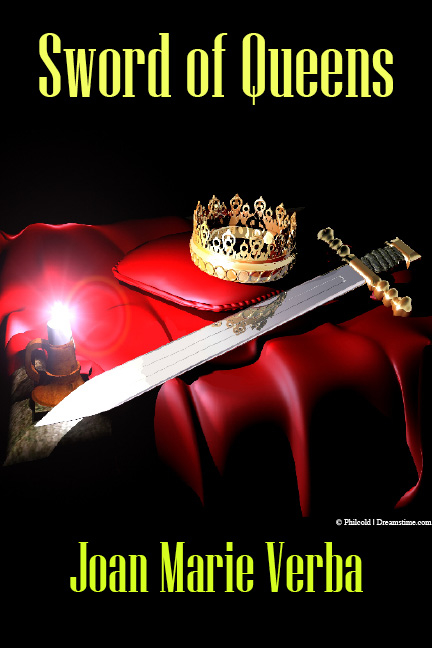 I talked about Boldly Writing first. I told the buyer (twice) that I received comments and e-mails regularly from professors in the field of popular culture saying that this was a valued reference, that it had been cited in academic papers, and that I had been told by Ph.D.s that they had used Boldly Writing in their dissertations. Despite this, she indicated she wasn’t interested. I then brought out the Thunderbirds books, asking if they carried science fiction. She said they did, but that they “only carry the big science fiction authors.” In parting, she said that my books weren’t the kind that their bookstore carries. Before leaving the subject of the U of MN bookstore, I do want to say that the newsletter of the Department of Physics and Astronomy (from which I graduated), has always been eager to print news of my books in their department/alumni newsletter. (The general U of MN alumni magazine, however, has not.) Obviously, the Department of Physics and Astronomy isn’t running the U of MN bookstore. From there, I went to the Red Balloon Bookstore in St. Paul. This wasn’t a bookstore that Joe Author recommended, but it is a bookstore that members of the MN SCBWI recommended, and I had called ahead. The manager there was very nice and took 2 copies of each Thunderbirds novel “on consignment” and asked me to check back in 3 months to see whether they sold. After that, I went to the Common Good Books store, which was not far away. This bookstore is a basement store, and I found it well-lit and comfortable. I approached an employee at the front desk and asked her if they purchase from Minnesota authors, and if they purchase science fiction. She was very nice and replied that they do, but they only carry books that one of the staff has read and would recommend. I asked if I could leave copies of my books for her to read. She said that was fine, and I did. Last, I went to the Science Museum and asked to talk to the bookstore manager. He was courteous and explained their purchasing policy, saying it was their experience that only books that relate to the current exhibit sell. For instance, he said, when they had the “body works” display, the only books sold were those relating to the human body, and to their frustration, none of their other books sold. He said that for that reason, they did carry science fiction when they had the Star Wars exhibit, but wouldn’t carry sf again until or unless they had another sf related exhibit, and added that they may in the future and I could contact them again. Such is my experience with trying to sell directly to bookstores. Joe Author may have had a different experience—of bookstore managers writing him a check on the spot—but most authors who try to sell direct don’t have that kind of success. POSTSCRIPT: Common Good Books never got back to me about my books. The Red Balloon Bookstore returned the books to me after several months–they did not sell any of them. FTL Publications is delighted to announce that Thunderbirds: Countdown to Action! by Joan Marie Verba, is a Mom’s Choice Awards® Silver Recipient in the Young Adult: Fantasy, Myths & Legends category, and an Award-Winning Finalist in the Fiction and Literature: Young Adult Fiction category of the National Best Books 2008 Awards, sponsored by USA Book News. The Mom’s Choice Awards® (MCA) is known for establishing the benchmark of excellence in family-friendly media, products and services. Countdown to Action! was named among the best in family-friendly media, products and services for 2009. 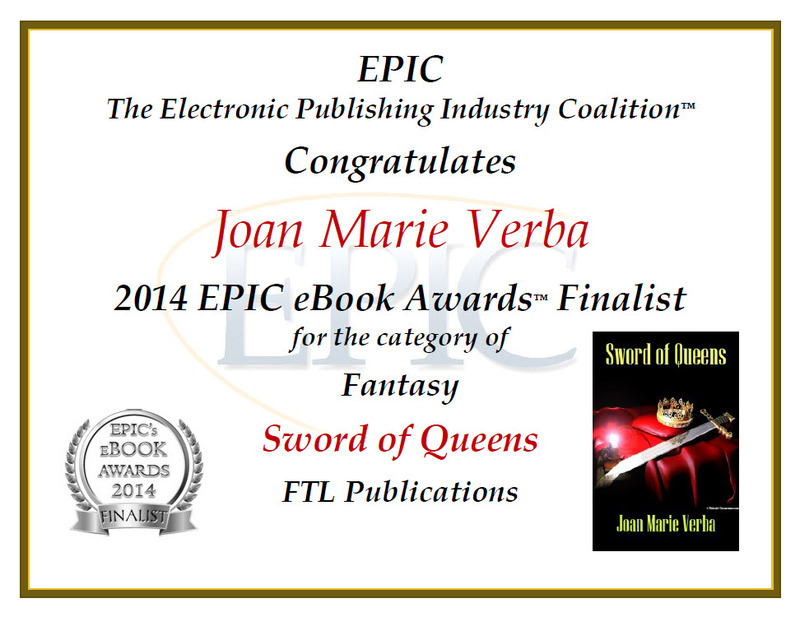 Joan Marie Verba, author of Countdown to Action!, says, “I’m proud to have received this award. 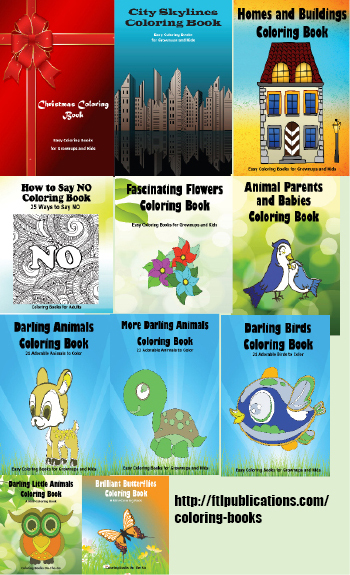 It is my goal to write family-friendly stories which can be enjoyed by readers of all ages. I’m so pleased that the Mom’s Choice Awards® committee has recognized these efforts.” A complete list of recipients can be found at: www.momschoiceawards.com/celebrate09.php. USABookNews.com, the premiere online magazine and review website for mainstream and independent publishing houses, announced the winners and finalists of THE NATIONAL “BEST BOOKS” 2008 AWARDS (NBBA) in late 2008. 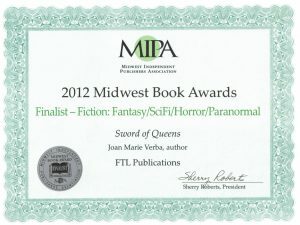 Verba, says of this award, “I’m thrilled to have received this recognition for my first Thunderbirds™ novel. It’s a tribute to the Thunderbirds™ series that the novel did so well.” A complete list of the winners and finalists of the USABookNews.com National “Best Books” 2008 Awards is available online at www.USABookNews.com. FTL Publications, which published Countdown to Action!, is a Minnetonka-based small press which has the only current license, and the only license in the world, from Granada Ventures in London to publish novels based on the British television series, Thunderbirds. The second novel in the series, Action Alert!, was published in November 2008. The third novel in the series is scheduled to be published in summer 2009. Thunderbirds TM & © 1964, 1999 and 2008 ITC Entertainment Group Limited. ‘Thunderbirds’ is a Gerry Anderson Production. Licensed by Granada Ventures Ltd. All rights reserved. This entry was posted in Joan's books on June 23, 2014 by Joan Marie.